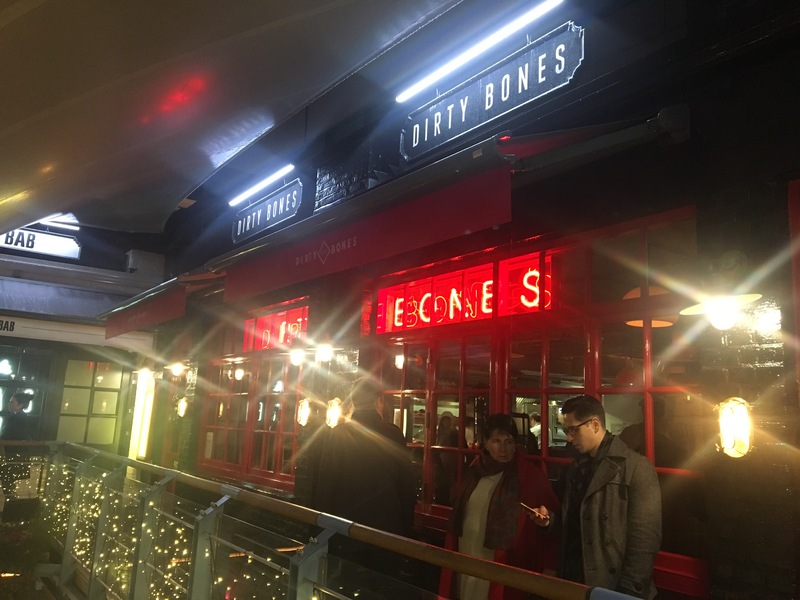 Dirty Bones – Kingly Court, London. Hope you’re all having a wonderful Christmas! 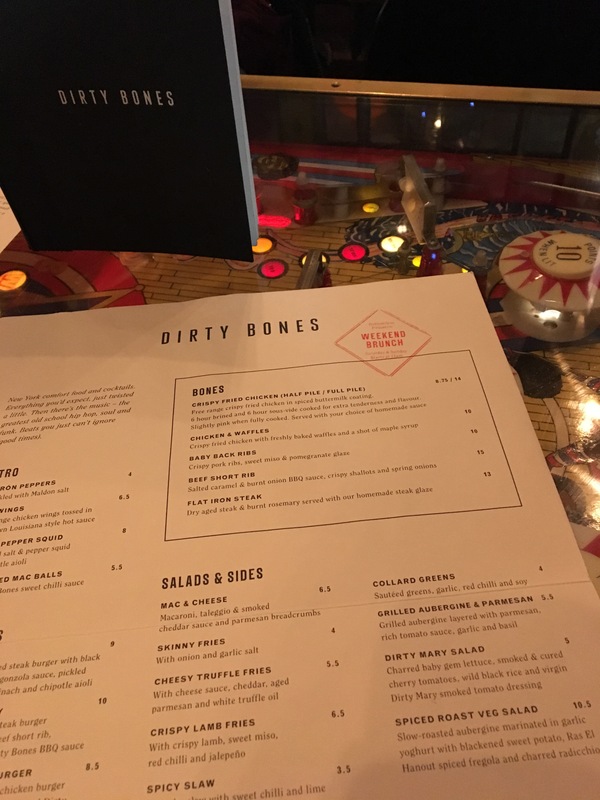 I’ve found a new favourite in London, called Dirty Bones. It is just off of Carnaby Street in Kingly Court, top floor. 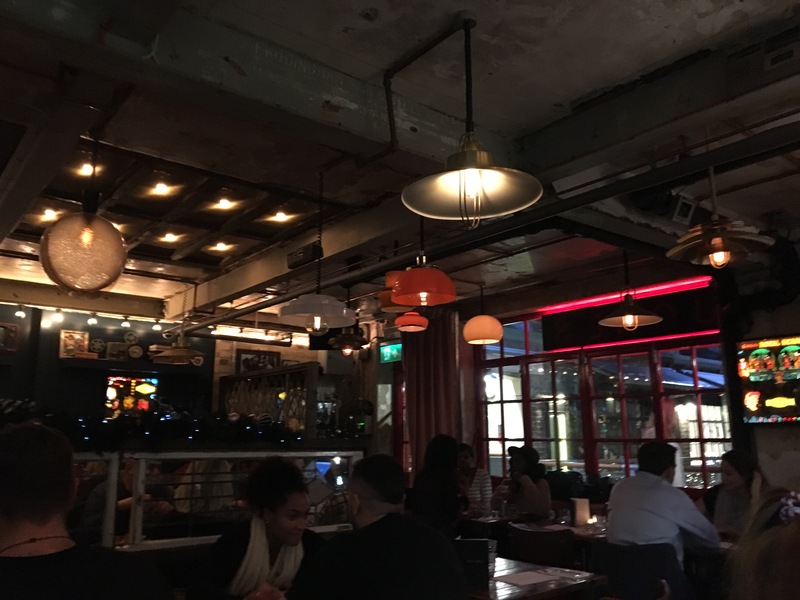 I found this using the Dojo app, which I totally recommend if you’re wanting to find some quirky top spots in London. The food menu is pretty straight forward with burgers, hot dogs, fried chicken etc, but they’re by no means plain and boring. 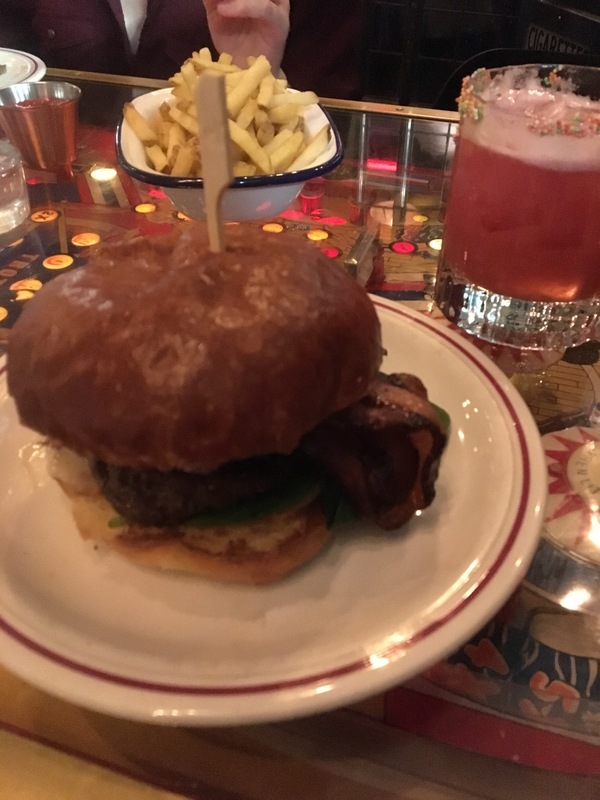 I had their The Burger, which was a beef patty (cooked to your desire), spinach, aioli chipotle, blue cheese sause, candies bacon and served on a brioche bun, honestly it was the best burger I’ve had in a while!! My friends had the MAC & Cheese burger, which was additionally met with high approval!! Their drinks menu is amazing!! 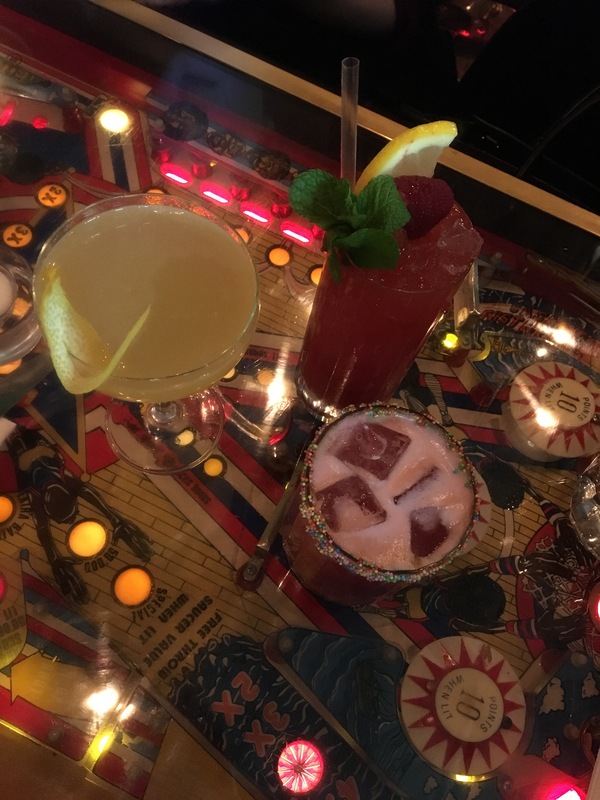 The cocktails are endless! The waitress was very helpful in narrowing down our choices and giving some suggestions. 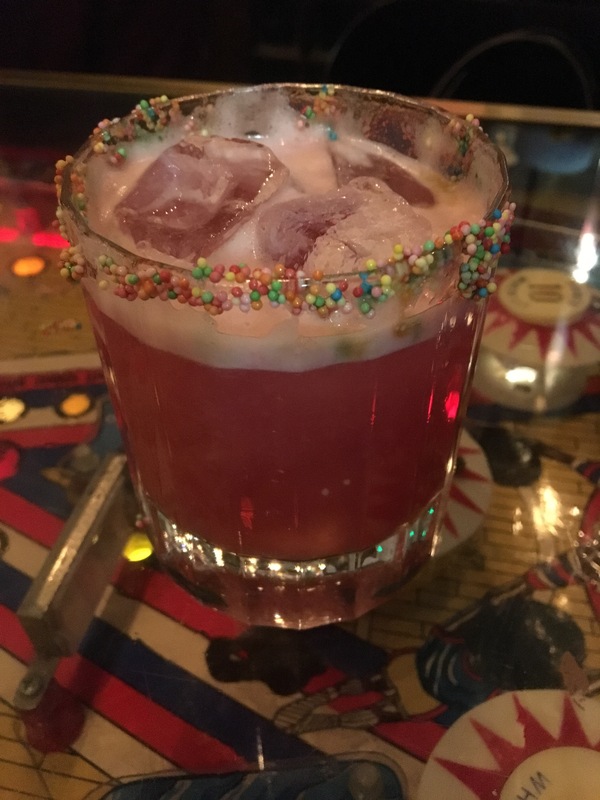 I went with The Fab cocktail in the end, which was a gin base, I particularly like the Hundreds and Thousands rim!! It was so so good! Could have drunk many many more! The decor in the restaurant is also very unique. It’s like walking back in time, with vintage style walls, posters and gadgets. 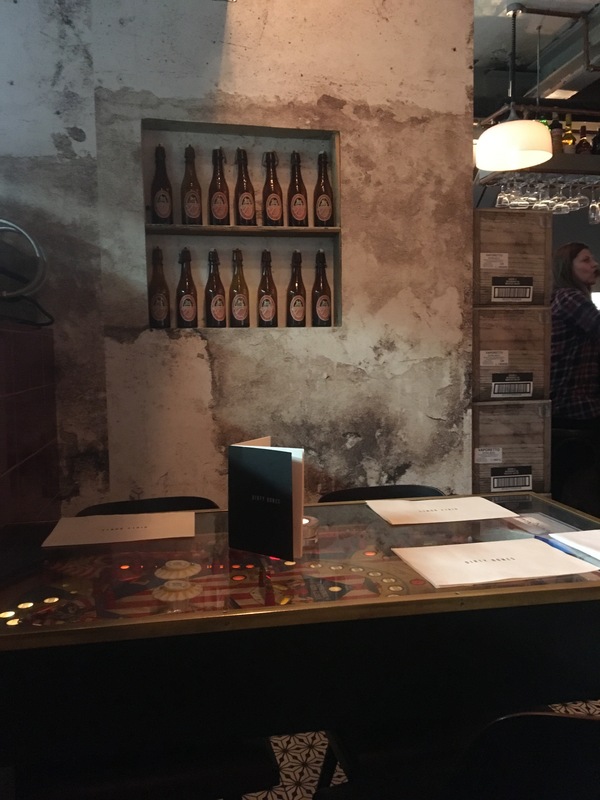 The tables were disused pinball machines which I thought added that extra old school feel to it! 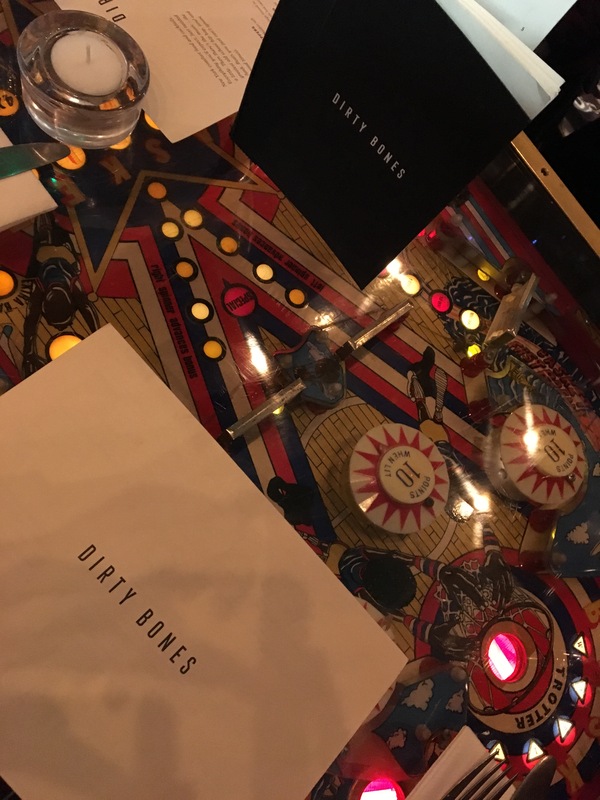 Definitely pop in if you’re in London, there’s also two more Dirty Bones in London, one in Kensington and the other Shoreditch. I’ll definitely be heading back their too, the location is great and close to some really cool bars like Cahoots. < Previous Christmas Candle Central!